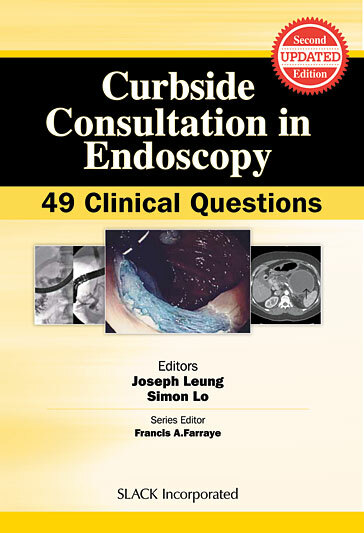 Curbside Consultation in IBD: 49 Clinical Questions, Second Edition - Question 42: How Do You Approach Polypoid Lesions In Patients With Inflammatory Bowel Disease? Curbside Consultation in Endoscopy: 49 Clinical Questions, Second Edition - Question 1: An 81-Year-Old Healthy Male Is Found To Have A 12-Cm Long Segment Barrett’S Esophagus And Several Tiny Raised Lesions, With Moderate To High Grade Dysplasia In One Location. What Do I Tell The Patient? What Therapy Is Appropriate? Curbside Consultation in GI Cancer for the Gastroenterologist: 49 Clinical Questions - Question 23: A 68-Year-Old Man Develops Painless Jaundice. Endoscopic Retrograde Cholangiopancreatography Demonstrates A Large Ampullary Mass. Biopsies Demonstrate Adenocarcinoma. How Should This Patient Be Managed?